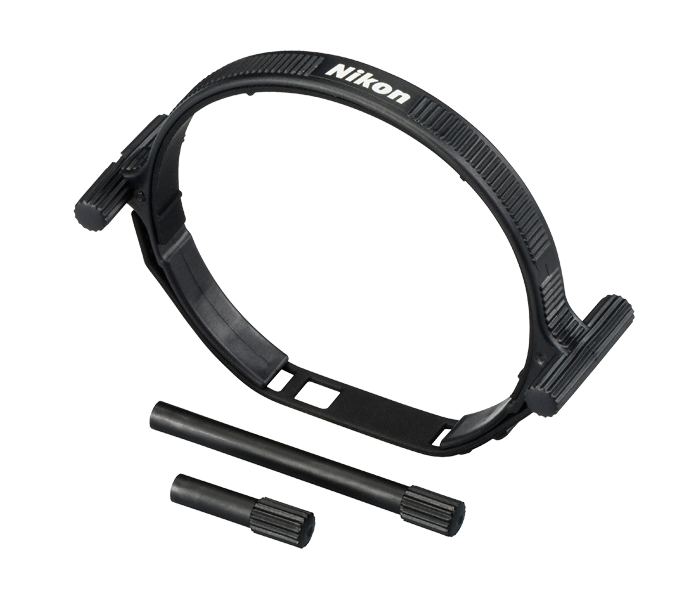 The Zoom/Focus Assist Lever is a lever that enables smoother zooming and focusing when attached to the zoom ring or focus ring on a NIKKOR lens. It is especially convenient with movie recording. Simply place the ring on the lens and attach the lever, then using the lever, you can smoothly zoom the lens or manually change the focus. You can also use two Zoom/Focus Assist Levers to smoothly zoom and focus the lens.